Turntable Lab had the feeling of NYC and is definitely a must-go-to for vinyl freaks. Specifically catered to DJs of all kinds of music, it has a decent selection of vinyl, but also a ton of turntables and DJ equipment. It was a very cool setup. Clean and crisp with really the feeling of a lab, the path to the register was lined with rows of records. With more electronic, EDM, hip-hop and house music, it still had a nice selection of rock, jazz, funk and soul. In fact I found two records that were great finds, one rare, the other just badass. 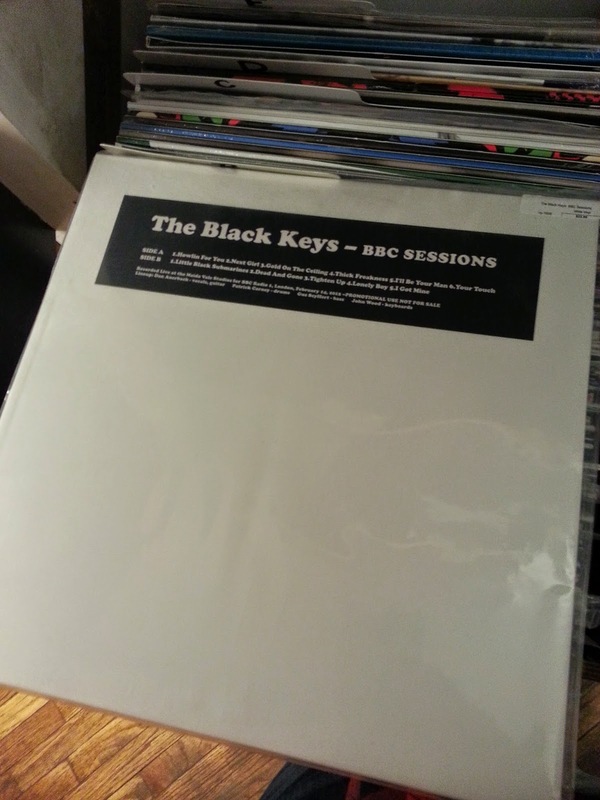 I always go to B in the vinyl racks to search for The Black Keys albums I don't have. I was ecstatic when this bad boy popped up. A live recording from February 2012 in London that has a mix of tracks from multiple albums including Little Black Submarines, Howlin' For You, Thickfreakness, I'll Be Your Man and of course I've Got Mine to close out the album as they close out each show. What an insane find. Reasonably priced at $22, even though it wouldn't have mattered if it were $40, I still would've bought it. 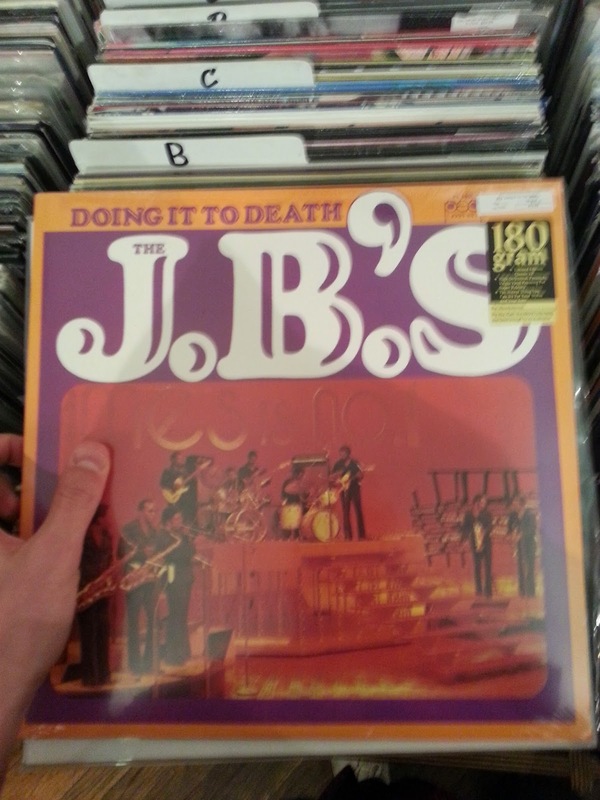 A full album by James Brown's backing band? Yes, please. I had to pick this album up because it brings back fond memories of when I was in Austin about 3 years ago and my buddies dad was driving us around town with Doin' It To Death cranked. As we cruised around town, it was the perfect song to listen to. And boom, I walked into vinyl nirvana. A-1 Record Shop, is literally filled wall to wall and floor to ceiling with vinyl. I walked in having only about 15-20 minutes and feeling like I needed a whole day to look through the selection of normal genres including some hard to find genres: New Punk, Old School Punk, Old Country, 70s Reggae, Glam Rock, New Wave, 90s R&B, Psychadelic to name a few. Just loaded with content, I found A-1 Record Shop to be the best record store I had ever experienced. I started to get the feeling like I needed to bring home an album from A-1 that captured the vibe of the store. I asked my main man Malik behind the register if he had any 70s Dance Reggae and shot up and darted over to the Reggae rack. 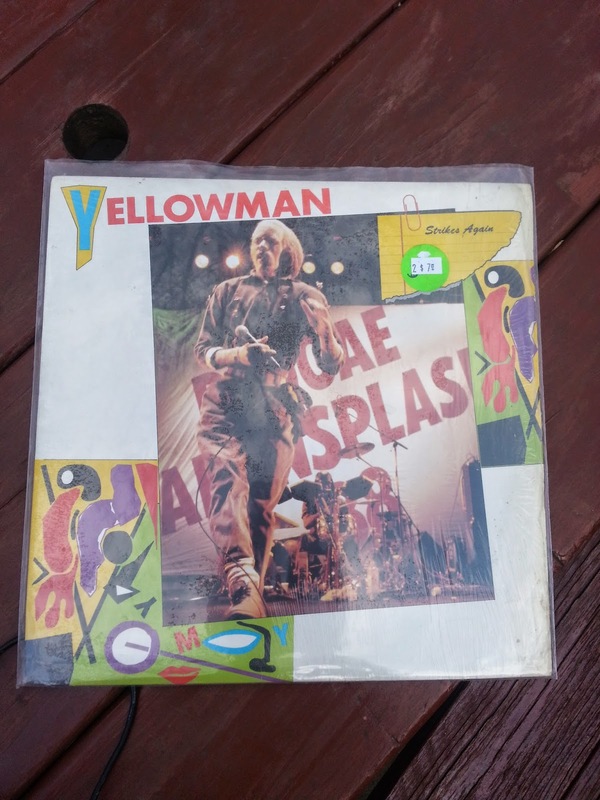 He said, "You gotta go with this dude Yellowman, he's got some funk." Those were the only words I needed to convince me. This is exacly what I was looking for when I asked for 70s Dance Reggae. It reminds me of one weekend in Chicago of when my buddies and I went to Danny's in Bucktown and it was Reggae night. This music is timeless and can get a club grooving. I rushed over to Other Music after experiencing two of the coolest record stores I've ever seen, expecting similar result. I didn't get the same feeling after I found it. I had about 10-15 minutes before the store closed to browse, which was not enough time to really dig, so maybe I didn't get the full feel. It just turned me off when I walked in and saw racks of CDs and an odd setup with a purchase window like I was ordered a hot dog from a street vendor. Also, they had this gigantic kiosk in the middle of the store that prevents you from seeing the whole store. Just not a great environment. I didn't pick anything up here because I was rushed out of the door exactly at 9pm because the workers had to clock out and head to something more important like getting another nose piercing. I'd like to give this store a fair review one day, so maybe I'll visit again sometime.